Styled with arjun knit top and anay short . 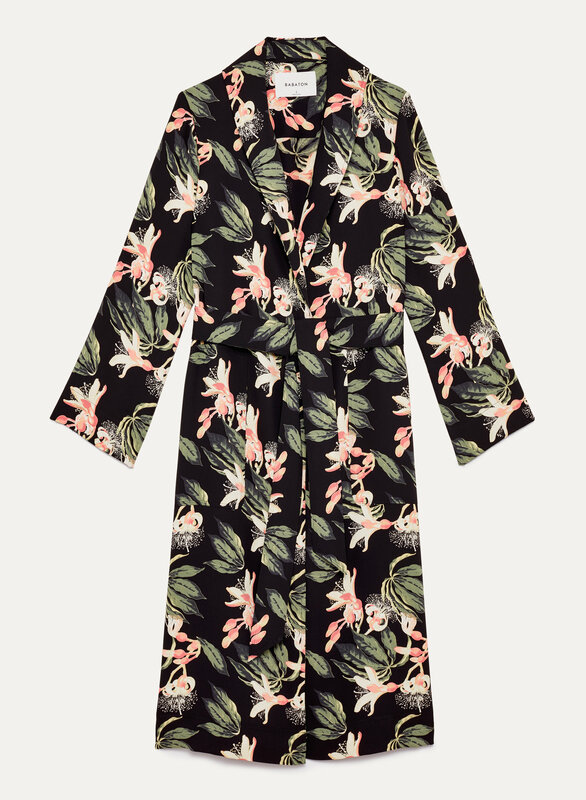 This robe jacket was adapted from a much-loved style in the 1—01 Babaton capsule collection. 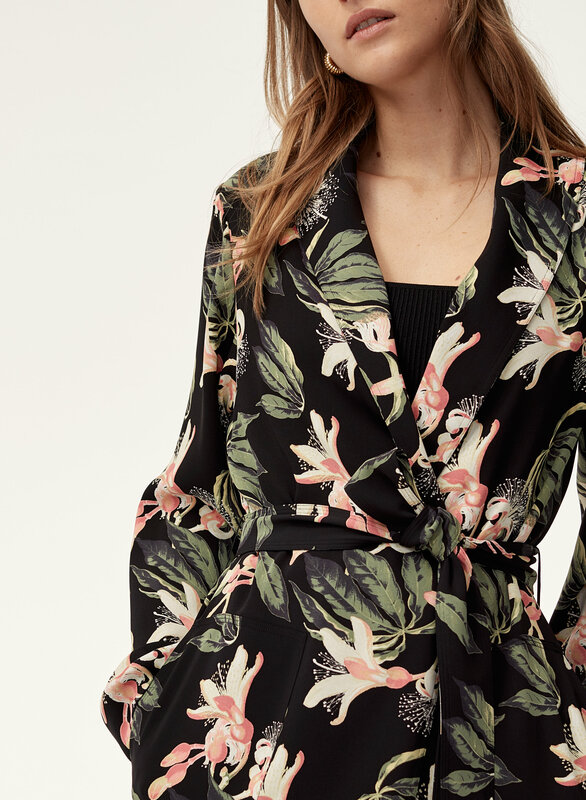 Cut from matte satin, it makes a sophisticated top layer — or a directional wrap dress. 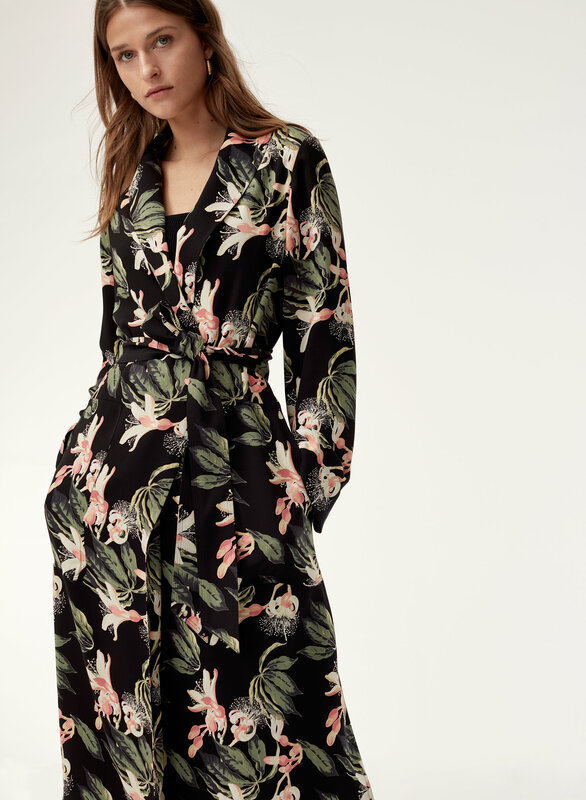 The tropical floral print was designed exclusively for Babaton. I love this jacket and have it in 2 colors. This specific one is softer than my other and thus my favorite. Perfect for spring and for travel to warm destinations. Love.